Haemodialysis involves purifying blood through a dialysis machine. The notion of Standard Precautions presume that all patients are infected with blood-borne pathogens, thereby requiring a high standard of disinfection. 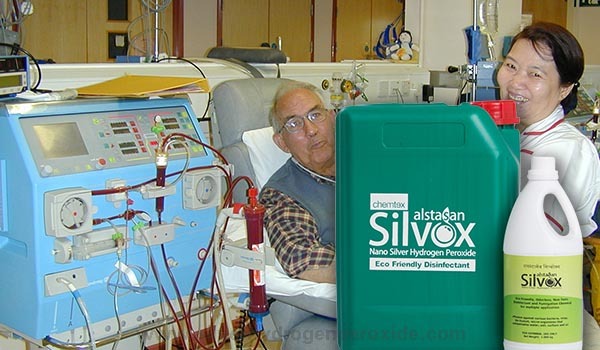 ALSTASAN SILVOX (Silver Hydrogen Peroxide based Hospital Sanitizer) addresses the concerned areas of kidney dialysis units without causing harmful/toxic effects. Hydrogen peroxide with silver is effective against all pathogens without altering/ compromising any quality of the residual product.